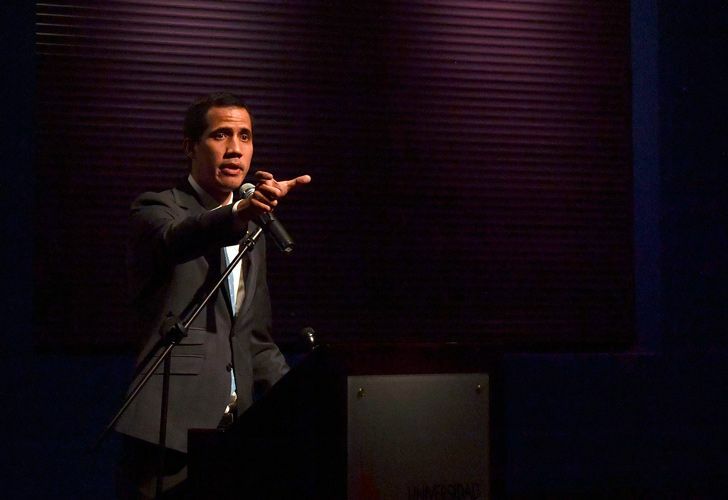 In an interview, Guaidó discusses the entry of foreign aid, contact with the military and whether he would be willing to allow the highly-controversial step of foreign military intervention. Opposition leader Juan Guaidó is challenging President Nicolás Maduro for control of crisis-hit Venezuela, a country plagued by hyperinflation, shortages of basic necessities and rampant violence. Guaidó has declared himself interim president and has been recognised as such by dozens of countries, including Argentina, but Maduro, buoyed by support from the armed forces, has declined to step aside. In an interview with AFP, Guaidó discusses the entry of foreign aid, contact with the military and whether he would be willing to allow the highly-controversial step of foreign military intervention. Would you use your prerogatives as speaker of the National Assembly and acting president to authorise the intervention of foreign military forces? We will do everything possible, once again, this is obviously a very, very controversial subject, but making use of our sovereignty and, within our jurisdictions, we will do what is necessary. How is the entry of humanitarian aid advancing? When we have sufficient supplies, we are going to make a first entry attempt. We know that there is a blockade in Tienditas [on the border with Colombia]. The Armed Forces have a huge dilemma, whether or not to accept the aid. It would be almost miserable at this point of huge necessity not to accept it. When will the first attempt be? I think it's going to be next week, when we have formed the corps of volunteers and organised the distribution process. Why do you think the offer of amnesty for members of the military has not yet produced a massive defection from high command? We have to go deeper into that, we saw a division general speak openly a few days ago, we saw some sergeants of the National Guard show discontent and they are being tortured. Part of what we have to overcome is explaining very well that [the Armed orces] have a role in the reconstruction." Have you had contact with officials from Russia and China [which are allies of Maduro]? I am sure that Moscow and Beijing know the situation in Venezuela really well: Maduro doesn't have the popular support and he can't stabilise the economy, which produced the world's largest inflation of two million percent. Would you receive emissaries of the International Contact Group seeking a negotiated solution? Does the position of Pope Francis seem lukewarm? He did not receive anyone from the government, he does not even take them into account anymore.